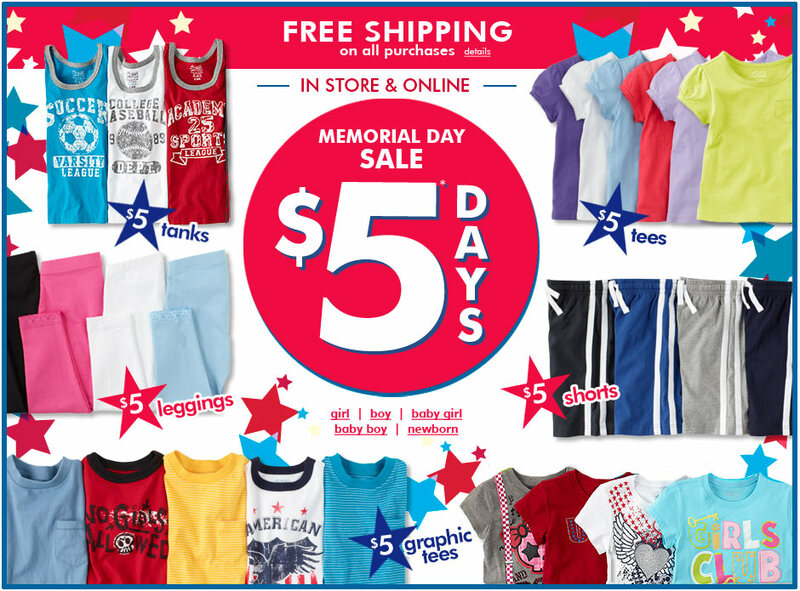 Children’s Place is having a nice Memorial Day sale through 5/31/11. They have lots of tanks, tees, shorts and leggings for just $5. There are lots of cute items in their SALE section online as well. Sale is running in store and online. Shipping is FREE for online orders (no minimum) Use code retailmenot5c for an additional 15% off. (Code expires 6/12/11) There are lots of bathing suits and coverups as low as $8 too! Happy Shopping!